Modern workwear is more than just durable. In the right combination, it protects the wearer from injuries and the weather, and also guarantees a professional look for the entire team. Made of strong materials that can withstand the wear and tear of everyday use, they always stand out thanks to their competent appearance - even after having been worn many times! They also have practical details and clever solutions to make your work easier – preferably, all at the same time! A regulated body climate is essential for healthy working. The main reasons for absenteeism at work are colds, chills and pulled muscles caused when the muscles become cold. Professional workwear therefore offers permanent protection against excessive heat, chills and the elements. e.s. functional workwear - better performance for the teams! An upmarket appearance for workers is growing in importance. A distinct team ID is a very personal way of communicating the philosophy and professional approach of your company. With workwear in the company colours, personalised with print, embroidery or laser engravings, the employees become ambassadors for your company. 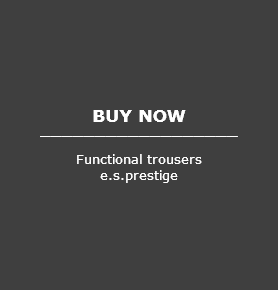 engelbert strauss supplies functional workwear which can also be personalised with your own CI. In one order. Big impact, strong feeling of identity! TRANSPORT – WARMTH – WEATHER PROTECTION are the central tasks of functional workwear. In a layer by layer design, functional clothing reacts to temperature fluctuations and changing weather conditions. The goal is to keep the body constantly at an 'operating temperature'. Several thin layers on top of each other work much better than one thick garment. If the function of the layers are also matched, the onion principle assumes a dual function: regulation from the inside, protection on the outside. BASE LAYER products have direct contact with the skin and have one important task: transport! Excess heat and body moisture need to be absorbed quickly and removed. Characteristic first layer products are highly breathable functional socks, functional underwear, functional T-shirts – indeed any functional textile that has direct contact with the skin. 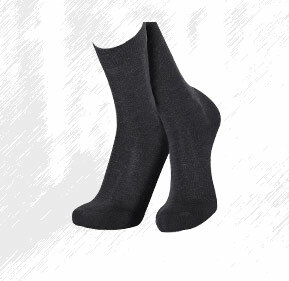 High breathability is decisive: The best work shoes do not work without functional socks. Highly-elastic fabric and the use of elastic fibres, such as elastane, ensure the necessary movement comfort in functional garments. The right material must be selected for the season, performance level and physical activity; this is decisive for an optimum basic layer. This is where the e.s.clima concept comes into its own. The e.s. clima concept shows the optimum thermal level depending on the physical activity. This is why the e.s. 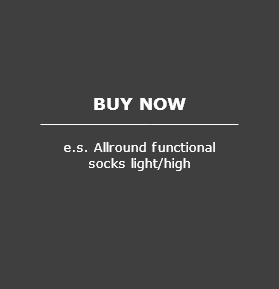 functional socks and the e.s. functional underwear have made-to-measure solutions for every thermal level. The thermal levels 'cool', 'light', 'warm' and 'x-warm' are used to classify the engelbert strauss functional underwear and socks for outdoor temperatures ranging from -30° C to above 30° C, depending on the level of physical activity. 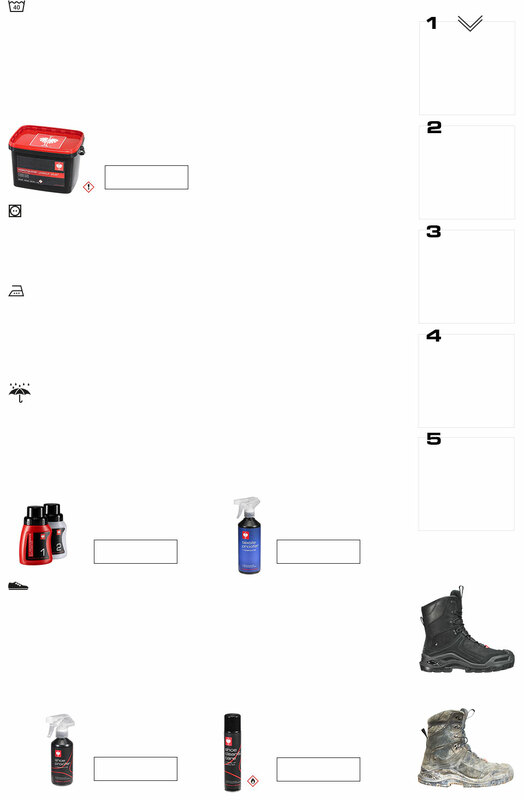 The table indicates how products can be used to the optimum. A natural fibre with high-tech properties. As a pure natural fibre, merino wool comes from merino sheep reared in the New Zealand Alps. The fibres are much finer and lighter than normal wool, they have insulating properties, store warmth and also ensure a pleasant warm feeling. Being highly breathable, merino wool can regulate the body climate and balance out the temperature when weather conditions change. A hydrophilic core and hydrophobic surface means that the merino fibres can absorb moisture thereby ensuring that the skin does not feel sweaty. In contrast to artificial fibres, merino inhibits odours and efficiently absorbs UV radiation. This first-rate natural product is used to make materials, usually for the production of functional underwear that is extremely lightweight, soft and flexible on the skin. INFO - Did you know? WOMEN usually get cold much more quickly than men. This is because they usually have less of the muscle mass that boosts men's blood circulation and generates more body heat. Women (and men, too) with cold hands and feet should therefore wear warmer garments, in particular on the upper body! If the upper body is kept warm, the body's own heat is sufficient to keep fingers and toes warm. It makes sense to add another layer of clothing (applying the onion principle) e.g. 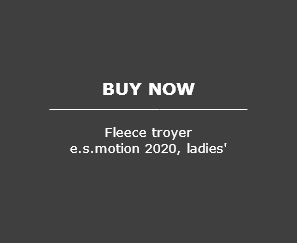 a fleece jacket or a fleece troyer. 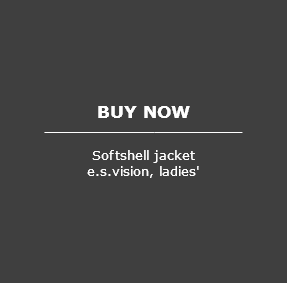 Cosy Highloft fleece jackets are very popular among women. Pockets of air are formed in the fleece pile to ensure good insulation. A functional bodywarmer over the basic and thermal layer is also a good way of keeping the upper body warm without having to put on a full weatherproof jacket. The highly functional lightweight garments of the FIBERtwin® BASIS family keep the body dry and fresh – even under duress. The decisive factor is the fast absorption and direct removal of the moisture. 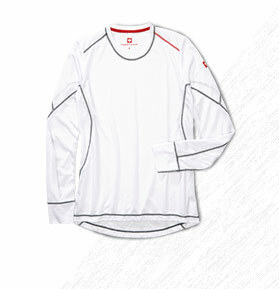 FIBERtwin® clima-pro and FIBERtwin® MERINO are functional fabrics for the basic layer. Specifically designed to be worn on the skin, they are primarily used in functional underwear and functional socks. 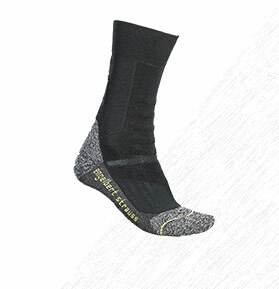 FIBERtwin® clima-pro textiles are produced in a two-component knit. Different types of yarn are used for the outside and inside. This two part construction creates the 'dry effect: the roughened inside absorbs sweat quickly moving it away from the skin whilst the smooth outside ensures fast drying. Due to the fact that the e.s. functional shirts, the e.s. troyers and the functional pants clima-pro are permeable for fresh air from the outside, they ensure an optimum circulation of body heat and fresh air. They are also very gentle on the skin. Merino wool stops bacteria forming and so remains free of odours; it is also climate-regulating and has natural insulating properties. The unique fibre structure warms when it is cold and cools when it is warm – for constant temperature balancing when conditions change. Regardless of whether the user is highly active or exposed to cold temperatures, our merino underwear and socks adapt to the conditions. FIBERtwin® – these are dynamic high-tech textiles for adapted regulation of the body temperature depending on the activity. In the first layer of clothing the FIBERtwin® stands out thanks to the highly breathable, easy-movement functional garments. Protects the body from seeping cold and also transports excess warmth to the outside at the same time: this is the task of the second layer. Dry cold, constant movement between indoors and outdoors, alternating sun and wind: the warmth-giving elements of the second layer need to respond very flexibly. Thin, movement-friendly textiles when working indoors and at pleasant outdoor temperatures ensure a perfect climate. High-pile products store warmth and insulate at low outdoor temperatures. Typical for the thermal layer are fleece jackets, fleece troyers, thermostretch troyers – elastic knitwear for freedom of movement in various material thicknesses and warmth levels. Highly breathable mixed fabrics are ideal for optimum circulation of body heat and fresh air. 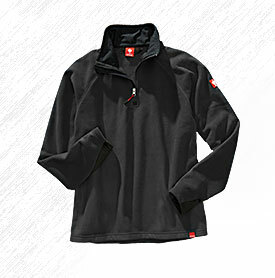 Pleasantly warm functional fleece: light, wind-repellent and breathable. 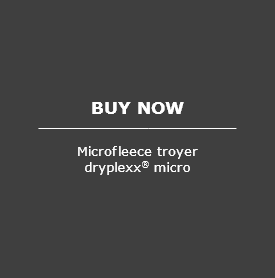 The short-pile dryplexx® fleece warms reliably and at the same time allows excess warmth and body moisture to escape through the breathable material. Thanks to the special stretch comfort, dryplexx® thermostretch materials feel like a second skin keeping the body dry and fresh even under physical exertion. Textiles with dryplexx® thermaflor are real warmth specialists. The pile-like faux fur lining stores heat efficiently and regulates the climate at the same time. Textiles with dryplexx® micro are very light and warm. When used in microfleece troyers and jackets, the material is wind-repellent and so protects the wearer from cold and draughts. dryplexx® micro textiles are very light, with very good insulation and climate regulation properties. 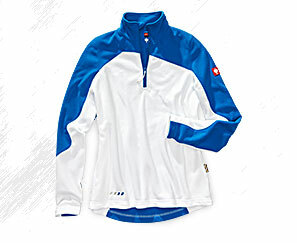 dryplexx® wind textiles have excellent thermal properties, are breathable, water-repellent and extremely windproof. 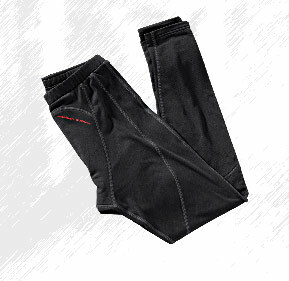 They protect the body from becoming cold and keep the wearer dry and fresh during physical activity. dryplexx® textiles are breathable and are therefore highly suitable for integration into the multi-layer system. dryplexx® fleece, dryplexx® thermostretch, dryplexx® thermaflor, dryplexx® micro and dryplexx® wind are used in the thermal layer. The system works the same way be it in fleece jackets, fleece troyers or in microfleece products. Excess body heat is transported outwards as vapour through micro-fine pores. Wind is stopped and body heat is stored in the piles of the textiles to prevent the body from becoming cold. 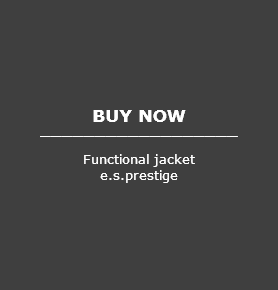 THE INNER VALUES are decisive when selecting the right winter function jacket. e.s. 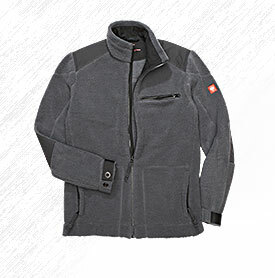 work jackets are usually made of ISOFILL®, a lining material made of durable artificial fibres. Artificial fibre linings have excellent thermal properties and are highly suitable in damp weather. Functional jackets with artificial fibre linings can be washed in the washing machine. ISOFILL® provides excellent insulation for warmth without weight. Thanks to a very thin fibre structure, jackets with ISOFILL® lining are pleasantly light and elastic – for warmth without volume: perfect insulation. Pure insulation for warmth without weight and volume. Lightweight, soft, warm – the ISOFILL® properties in ISOFILL® TEKNO DOWN are enhanced by the natural benefits of down. It is unbeatable as a filling material - this high-tech mixed fabric is a combination of the natural volume of down and the breathability and elasticity of ISOFILL® which ensures excellent protection against the cold. Being very light and comfortable, the ISOFILL® TEKNO DOWN is used in winter work jackets to ensure absolute warmth without the volume. These garments keep the wearer warm, and are highly suitable for tasks that do not require much physical activity at low outdoor temperatures. Products of the FIBERtwin® ISOLATION family primarily serve thermal insulation. They have an excellent warmth-to-weight ratio, great warmth storage and release, a high level of breathability - in this way, the FIBERtwin® ISOLATION technology is a guarantee of excellent warmth and pleasant climate. Professional appearance, pleasant to wear, best climate properties: these are the functional properties of the FIBERtwin® soft touch textiles. 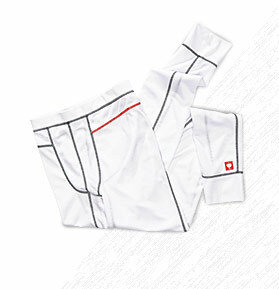 An elastic fabric with very good rebound behaviour stores the body heat and transports moisture to the outside quickly. Excellent warmth storage and very lightweight: these are the properties of the movement-friendly premium fleece FIBERtwin® therma-plus. 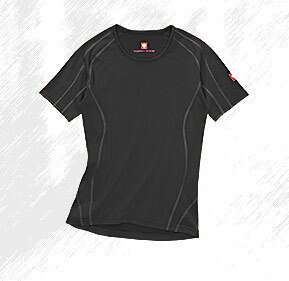 Products with FIBERtwin® therma-plus are fast-drying, lightweight and highly breathable. FIBERtwin® High-Loft takes thermal insulation to a completely new level. 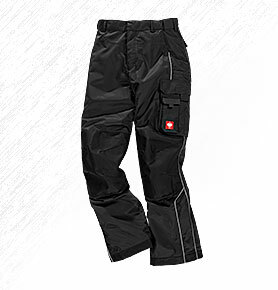 The extremely high-pile materials ensure a maximum warmth-to-weight ratio and excellent breathability. The open mesh construction means that the fresh air can circulate to the optimum whilst also storing the warmth. Very light and highly compressible, thanks to low material density. FIBERtwin® – these are dynamic high-tech textiles for adapted regulation of the body temperature depending on the activity level. The second clothing layer usually comprises movement-friendly fleece jackets and troyers that are extremely comfortable thanks to the FIBERtwin®. Weather protection is a key factor for professional workwear used outdoors in the pouring rain, icy cold or fog: working outdoors is a real challenge in poor weather. Weather protection workwear manages to offer permanent protection and to transport excess body heat resulting from physical exertion to the outside. Products used as the third layer are real all-rounders. 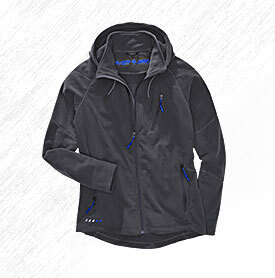 Outdoor jackets, double jackets and 3-in-1 functional jackets offer flexibility in all kinds of weather. 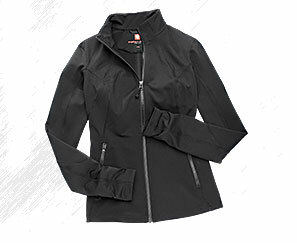 Softshell jackets are flexible and lightweight. Waxed weather protection jackets for more durability and high-tech insulation materials such as ISOFILL® enhance the performance of engelbert strauss work jackets. engelbert strauss uses membrane technology from dryplexx® extreme and dryplexx® waterproof for its work and safety shoes. The waterproof qualities and breathability of our rainwear are tested under normal working conditions in accordance with the European standard DIN EN 343:2003+ A1:2007 + AC:2009. Protective clothing needs to withstand more than just rain on a day-to-day basis: dirt, oil, frequent washing or wear are common factors faced by workwear. At the same time, this should not impact on wear and climate comfort. Rainwear is classified according to EN 343 based on two criteria: waterproofness and breathability. 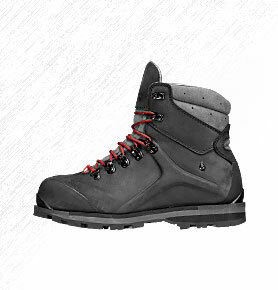 Waterproofness and breathability are categorised into three classes. The higher the class, the better the protection against the rain (water contact resistance) and the more comfortable the garment is to wear (water vapour permeability resistance, breathability). The goal is a combination of both properties. In simulated tests in accordance with DIN EN 343, the rainwear needs to prove it can withstand typical work loads, especially with regard to the material and seams. The products are pretreated and then the waterproofness and breathability are tested in this simulated condition. We deliberately provide no information about the water column because this unit alone says nothing about the water tightness and breathability under mechanical loads. During product testing in compliance with DIN EN 343:2003, the product function (water-tightness / breathability) and also mechanical properties (durability / stability / service life / wear-resistance) are examined. It is only the combination of these features that guarantee the wearer maximum performance of the protective workwear. X = Waterproof requirements. This is measured as the water permeability resistance. Class 1-3 (3 is the highest class). X = Water vapour permeability resistance requirement (often called „breathability“). Class 1-3 (3 is the highest class). Workwear and shoes with this membrane system are waterproof, windproof and breathable – they prevent water penetration and ensure a pleasant climate inside the garments. Special shoe membrane technology: work shoes with dryplexx® high-performance membranes are permanently waterproof, highly breathable and offer perfect climate comfort in extreme conditions. The dryplexx® membrane is then completely integrated into the shoe like a 'sock' to prevent water penetration and allow the feet to breathe. Extremely windproof, water-repellent, highly breathable – and very flexible: softshell jackets and bodywarmers with comfort guarantee. Soft, elastic and with plenty of freedom of movement, softshells also withstand rigorous strain and do not constrict movement. The difference to dryplexx®softshell: softshell jackets and bodywarmers with dryplexx® softlight features are much lighter, making them very suitable for great physical exertion! Softshells dry very quickly, absorb little moisture and offer full functionality without weighing much. Optimum moisture removal thanks to the high-quality functional fabric. Very breathable for excellent climate comfort. dryplexx® hydro has proven itself in work gloves, work trousers and work jackets to enhance the windproof and water-repellent properties of these textiles. dryplexx® textiles can be very easily integrated into the onion principle. dryplexx® extreme, dryplexx® waterproof, dryplexx® hydro and dryplexx® softshell all stand out as weather experts for the third clothing layer. Be it weather jackets as an outer layer or safety shoes with a dryplexx® membrane – the system is always identical: excess body heat is transported outwards as vapour through micro-fine pores to regulate the climate. At the same time, the wind and weather are stopped and the body is protected from becoming cold and wet. Flexibility at work, anytime, anywhere. This is what you need if 100 per cent is the permanent goal. Sub-zero temperatures, storms, deluges, blazing sun, draughts or lots of action in closed rooms: workers need to be able to rely on their clothing at all times. e.s. functional workwear covers all needs. It effectively regulates the body climate, offers permanent protection from the weather and guarantees heathy work practices. In every work situation. The rain is pouring down onto the workwear. Water simply drips off the work jacket during evaporation. e.s. 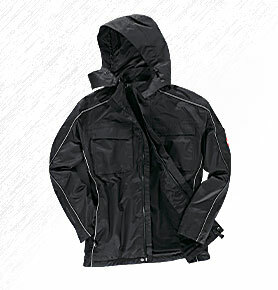 weather protection clothing offers full protection against any kind of wet. The products are taken through their paces in simulated tests of typical work situations defined by the standard DIN EN 343:2003. They are approved pursuant to the rain protection standard if the material and the seams pass the test. The wind whips through the trees, blows off the roofs and swirls up the construction site dust. Suitable workwear stops the wind! The dryplexx® features of our softshell jackets prevent the wind from penetrating, release the heat thanks to the breathable properties and deals with drizzling rain effectively. Other wind stoppers: sub-surface zips, anatomic hoods and elastic fasteners. Icy cold wind makes the face go numb. Sub-zero temperatures. Snow. Ice. Permafrost. Anyone who is working outside needs urgent support for their body; winter work jackets are really challenged! They need to provide warmth, ward off the weather and release the warmth inside to the outside. 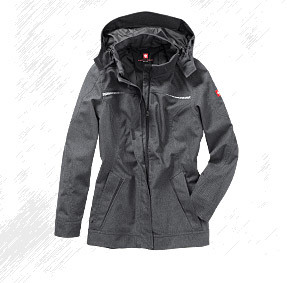 Thanks to the ISOFILL® lining, our winter jackets can block the cold. Changeable weather demands flexibility. Cloudbursts, sun, overcast skies, sudden drops in the temperature - our 3-in-1 functional jackets cater for all weather situations. The outer jacket worn on its own protects against rain, the inner jacket is worn when the sky is overcast, and both jackets worn together keep you warm in cold and wet weather. This is how workwear should be! Indoor jobs are a completely different ballgame: Draughts? Constant movement between indoors and outdoors? Desk job? Plenty of moving around? Cool rooms or high room temperatures? What you need now are flexible jackets, bodywarmers and troyers with our thermostretch® or clima-pro® function for excellent thermal exchange and perfect climate regulation. "When I'm away on a job I work in loads of different places, often outside. Like here in the mountains. It is very windy up here. Now and again it snows and the icy cold is unpleasant. That's why I need workwear that offers me functional support, layer by layer. It needs to keep me warm, but it must be breathable – from my underwear through to the jackets and work trousers." "The S3 Alrakis are absolutely durable and comfortable. They are also water-repellent, windproof and satisfy all S3 standards to ensure healthy working." "The Cordura-cotton mix offers excellent protection even when the wearer needs to kneel frequently on rough floors." "Winter softshell jackets are the perfect all-rounders as far as I am concerned. They stop the wind and are water-repellent. They can also cope with light snow. They regulate my body temperature thanks to their breathability." "Most of the body's heat is lost via the head, which is why I wear the e.s.roughtough knitted hat in the winter to keep me nice and warm. My ears are well protected thanks to the double folded seam." "Handy, functional, warm – the fibre fur troyer is designed for working outdoors in the cold. It has durable trimmings on the shoulders. Wear-resistant in a cool style." "Long vests keep me warm from the outset, and they are breathable. I have several to choose from depending on how cold it is or how strenuous the work will be." "Long-johns are a 'must' in winter to keep my legs warm. And it doesn't matter if I sweat, because the moisture is immediately transferred to the next layer." "Functional socks are mandatory in breathable shoes otherwise the work shoes do not function correctly. Cotton socks stop the functionality of the shoes." "Just because it starts raining doesn’t mean I can stop working. That's why I wear my 3-in-1 work jacket. It protects me in the rain, and when the rain stops, I can just wear the inner jacket on its own. Absolutely ideal. I also like wearing functional troyers because they are comfortable and just do what they are designed to do. I only wear S3-safety shoes because they are the safest for my line of work." "In my job I often switch between outdoors and indoors and this is very difficult for me, especially when it is cold outside: I'm either freezing or boiling! That's why I like to wear functional work jackets. Even though they are light and thin, they keep you really warm. When I have to go outside, I put my bodywarmer on top. I wear functional shirts under the jacket so I'm equipped for any event." "I'm a barista and my day involves lots of coffee creations, sandwiches, dealing with lots of hungry and thirsty guests. This means I need to keep cool, especially when all the guests arrive at the same time. My workwear helps me: there are venting slits in the back of my jacket, that also looks good in a chef design. My trousers also have venting slits at the back of the thighs." "Both jackets of the 3-in-1 work jacket can be worn separately. 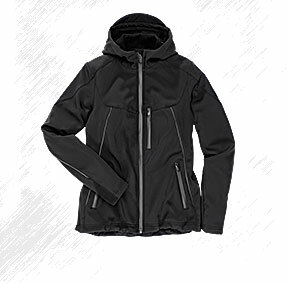 The outer jacket stays waterproof in any rain shower, the functional inner jacket is light, keeps the wearer warm and is breathable so that sweat can escape. In combination, both jackets keep you really warm. Perfect whatever the weather." "Working outdoors means you have to be prepared for poor weather. This is no problem with the cotton touch. The work trousers have a wax coating so that rain simply drips off." "My Siom x-12 are comfortable and safe. 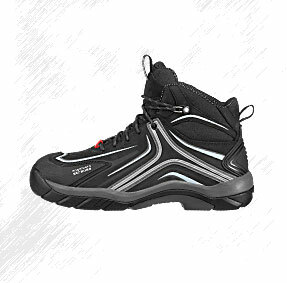 The S3 safety shoes are specially made for wide feet. So, if you have wide feet, opt for these safety shoes." "Functional troyers are light and specially designed to quickly absorb and remove moisture. The skin feels dry regardless of how hard you have been working." "We have to work hard and often end up really sweating especially on warm days indoors. That's why I always wear functional shirts because the moisture dries quickly and the shirt does not stick to my body." "Functional socks go with work shoes like a flex machine goes with a tiler. When the weather is as changeable as it is now, I wear the 'warm' level which means that my feet are aired and stay warm." "If I need to go outside I put on my bodywarmer because this means my arms are free but my upper body is still warm. Also, it is breathable which means you can work up a sweat but you don't feel sticky." 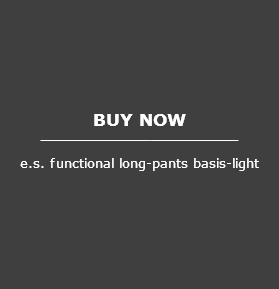 "Although e.s.roughtough work trousers are heavier, they are very comfortable and pleasant to wear. As a tiler, I need trousers that are very durable and can cope with the rough floors that I work on every day. 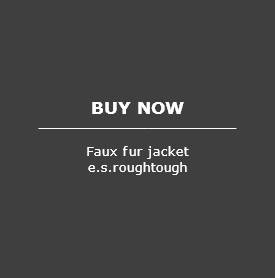 roughtough is durable and wear resistant. Just perfect." "S3 safety shoes that don't look like safety shoes at first. Cool. Nembus, for instance. Also, they are suitable for insole wearers like myself without compromising on the functionality. It doesn't get better than this." "This jacket is great. As soon as it gets a bit cooler, I put it on. It really keeps you warm, even though it is so light. And of course, it is also breathable." "Functional shirts are really pleasant when I get hot whilst working. They regulate the entire moisture exchange, so I don’t need to worry about it. The shirt stays in shape and I feel good." 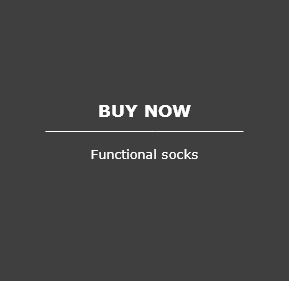 "When it is chilly outside I wear 'warm' functional socks. They air my feet perfectly whilst keeping them warm at the same time." "Chef's whites look very smart and they are practical, too. 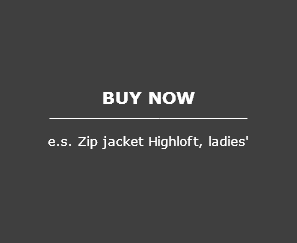 They have a zip at the front so you can put the jacket on as usual. I also love the vent zones - I wouldn't want to not have them. The jacket is also made of an elastic material that means it fits perfectly." "The bandana looks really cool and my hair does not fall into my face. Very practical. It is tied at the back and fits any head size. The special fabric makes the bandana very durable." "I could walk for hours in my Asteropes. The sole is non-slip and the material is breathable on the inside and outside." "Even my e.s.pocket work trousers regulate the climate in my clothing via the two vent zips at the back of the thighs. If I open the zips when things get busy, the air circulates. What's more they do not lose their shape and they are resistant to stains." "I only wear breathable shorts at work because they keep me dry and fresh all day long. Nothing can stress me then." "I wear functional socks in my work shoes. The 'light' thermal level is great for my job as a barista." HOW DO I CARE FOR FUNCTIONAL WORK CLOTHING? Workwear needs to be pretty tough. The right care is crucial for ensuring that the functionality of the workwear is not impaired. We provide advice on how to care for your functional clothing and work shoes with membranes, and we also supply suitable care agents. How does my breathable weatherproof jacket retain its function? At what temperature should I wash my softshell jacket? How do I get rid of stubborn stains from my workwear? Washing your clothing correctly is often crucial for ensuring that the functional clothing can be used for a long time. Always observe the washing temperature on the label. If no care information is provided, functional jackets & Co. should be put on a gentle wash (30° C/delicates). Close all zips and Velcro fasteners before washing, and never overfill the washing machine. Never use softeners or washing powders with softener added! We recommend our e.s. washing powder colour plus for coloured workwear with membranes. It removes all typical work stains, does not make colours fade, it is gentle on fibres and applications, and is therefore highly suitable for cleaning and caring for colour-intensive, multi-coloured workwear with printed and embroidered elements. Also observe the care label when drying functional garments. As a general rule, warmth has a positive effect on impregnated clothing. This means that waterproof and breathable workwear can be dried in the tumble dryer because the warmth can even reactivate the water-repellent impregnation effect. Place all tumble dryer-suitable products into the tumble dryer at the lowest setting and dry for about 30 minutes - do not dry completely! Clothing that is not suitable for the tumble dryer should be allowed to drip dry in the air. 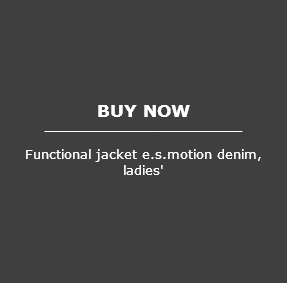 Most functional jackets and functional trousers do not need to be ironed. Creases can be avoided by drying them on a good clothes hanger or drying them in a tumble dryer - this enhances their appearance. If it is necessary to iron workwear, e.g. 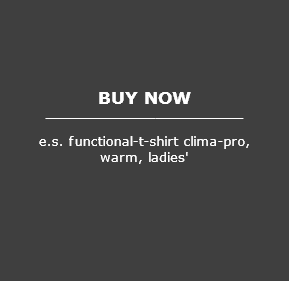 functional shirts, the warmth has a positive effect of the function. Only iron functional textiles at a low temperature and without steam! Placing a towel between the iron and the garment protects the material – this also helps to reactivate water-repellent impregnation coatings. Do not iron fleece jackets, instead simply shake after the delicates washing cycle and hang up to dry. The impregnation of workwear is the first layer that protects against wet, dust and dirt. It enhances e.g. the function of waterproof work jackets, and is therefore exposed to extreme loads resulting from mechanical influences such as wear or typical work-related soiling. It is therefore highly recommended to re-impregnate the garments with impregnation agents, at the latest when water does not simply drip off the outer material but causes a wet stain. Depending on how often the garments are used, weather protection jackets and functional trousers should be re-impregnated during/after every washing cycle to prevent dirt penetrating the fabric, either with a special wash impregnation agent or after washing with a special textile impregnation spray. Breathable, waterproof work shoes require special care to maintain their performance and provide permanent effective protection. Regular cleaning, drying and impregnation prevents the penetration of wet, dirt, oil, dust and stains. At the same time, leather and textiles are also cared for. Remove coarse dirt manually with a brush or cloth, then clean the shoe with lukewarm water and/or special cleaning sprays. Allow wet shoes to dry slowly, never place on a direct heat source (radiator etc.). It is also advisable to stuff the shoes with an absorbent material (e.g. newspaper). A spare of shoes is also a good idea so that they can be alternated every day. We recommend impregnating work shoes and safety shoes with a climate membrane at regular intervals before wearing for the first time and in particular before cleaning with a care agent for the first time. Avoid creases and folds as far as possible. Hang workwear on a good clothes hanger or fold carefully. Use a clothes brush to remove most of the dirt and dust before machine washing. Do not wash too frequently; air the outer layer frequently; remove dirt on the surface with a brush.